Indoor Gardening for the Colder Months | Starkie Bros. Tomatoes and cucumbers, when grown exclusively indoors. Swiss chard, broccoli, collared greens,; plant these in containers outside to start, then bring them in during winter. Chives, tarragon, lavender; each herb grows well in drought spells and cold weather. Use whatever you can find as your garden containers. Anything from specially designed wooden planters to recycled milk gallons will do. Still, according to experts from Mother Earth News, since ceramic containers tend to fracture when exposed to freezing temperatures, plastic containers are a safer bet. Whatever type of container you use, make sure it has proper drainage holes on the bottom. Many planters lack them, so you might have to make them yourself. Also, to avoid messes, keep a saucer under each container. Even the plants that thrive during colder months need sunlight to stay healthy. Ensure that your plants have the proper amount of daily sunlight by setting them on window sills or near doors. Expose your home to fresh air whenever possible for the maximum effect of adequate sunlight. Keep in mind that all plants need varying degrees of sunlight. Educate yourself about the particular plants in your garden and offer access to sunlight accordingly. Too much light or too little can kill your efforts. The most effective way to manage your plants' intake of sunlight is to rotate them periodically. This also ensures that they grow straight instead of leaning to one side to catch more light. The quickest way to kill your indoor garden is to plant it using regular outdoor soil from your garden. What's the damage, you ask. Well, considering that natural soil is chock full of bugs and other microscopic organisms, you risk contaminating your plants and dispossessing them of the opportunity to thrive in rich, clean soil. You are far better off buying pot soil. It is ideal for indoor use with periodic fertilization. The cold of winter is on its way, but you need not deprive yourself of the joy that gardening brings or the nutritious treats it yields. 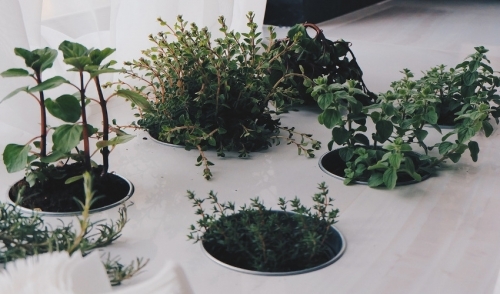 Indoor gardening does not require a seasoned green thumb if the basic tips from above are kept in mind, but if growing plants is your life's passion, the possibilities are endless.